Blog commenting is there from the beginning and it is one of the oldest method taught in the OLD SEO schools. Place your comment on the same niche blogs and enjoy the high level of traffic and backlinks. The Purpose of comment may different , if you have not read my previous two articles on Good Comment means backlink, and how best to comment on do-follow blogs, then it is highly recommend. Leaving comment on other blog can enhance your social circle, your will become more visible, more connected with other bloggers, whether your aim is to place guest post or to acquire some new good backlinks for your site. Regular commenting on any blog will be noticed by the blogger and the blogger will see that you are reading and consuming their contents well, in a long run when you will start your guest post journey to acquire some authority these bloggers will help you in your endeavor. So before you send a cold Guest post request on any blog, or to ask some other favor. .. spend few weeks on that blog try to consume the contents of that blog and leave some meaningful comment, so that the blogger will know that you are a genuine person and will add some value to his/her blog. Have you noticed that Facebook, Google+ and other social websites had incorporated commenting in their network. Google had been declared that they will also notice the social presence at a part to search engine ranking. This is the main reason these two majors have already given the permission to create your own blogs and pages on their network … and I strongly believe that commenting on the blog must be a part of your social presence, you can achieve this even using Guest post, answering on Google Answer or wp-answer or stock exchange , off course leaving comment on others blog. I really mean it , where to comment is much more important than on which article you should comment. One method may be to find out relevant blog using google query and start placing your comment on that blog or just move from one blog to another blog and comment . Does that really helpful to gain quality backlink and quality traffic? Instead of that, Look for the blog that are worthwhile to comment. If you are able to get a backlink from that site/blog , it will actually mean something. 1. Use seaquake and do-follow plugin to find out high PR CommentLuv Enable blog to place your comment. 2. Use Googles Double ClickPlanner to find out some Good blogs/bloggers. 3. Find out the blogs where your likeminded bloggers gathers, or search for the list of 20-50 best bloggers in your niche. How many times you left a comment without bothering who is the blogger? If I am not wrong only few of you. Many blog publish the author bio, so that you can connect yourself easily. This also help you to grow and follow. This way you also know the taste of blogger and which type of comment and psychology the blogger follow. Before posting your response on any article. Read the comments posted on that article and try to understand which type of comments are listed there. What they are discussing, do they also respond to negative creative comment or just respond to only the appreciation. This will also guide you, whether this commenting community is friendly, mean, smart or ………..
After reading couple of comments, you can realize very easily whether you want to participate in this discussion or not. This step is very important as this will also define your social signal on Google search. Now, the next very important aspect of this whole article, your identity. New bloggers and seasoned commentators , don’t want to reveal themselves , they want to be anonymous… choose smiley , funny faces or someone else image as mostly seen on the facebook. The need of identity must be recognized by every blogger in the beginning of his /her journey…. to make a positive impact on his online presence. Remember this will be a part of your social search planning strategy. It will also help you to retain your author rank. How much is sufficient to grab the attention of the author and the commenting tribe of that blog. There is no hard and fast rule for the size of comment. Different author and SEO experts have different opinion. Since, nobody notice your simple “thank you message” on any blog, sometimes even most active bloggers do ignore to respond. There are two suggested opinion on this issue, how much is too much. 1. Write long and descriptive comment elaborating your opinion of each and every point discussed in the article. 2. Appear more than two to three times and respond to other commentators. You ideas should either start a new conversation with the commenter. Do you really want to re-invent the wheel? 100% your answer will be…………….Big NO. so the point is here read all the posted comment on that article first, do not post the already stated or may be answered question. Read all the comments first and then decide whether your query had been posted or not. If it is already asked by someone else… try to refrain yourself otherwise you can lose your own credibility. Would you like to take that risk???????? Instead of that…. try to raise your original opinion in a separate comment or answer someone else query , may be your comment this way will be more visible. How many links we can insert in a single comment ? When I do not prefer even a single link in my site than how can I suggest you to place more than one link. Now a days commentLuv is there to help you deep link your post on someone else blog. But this is not always true. If you are participating in a debate and to make your point more meaty, you would love to make a reference to some one else site than. The idea to place more than one link is little bit tricky but you can do this way www[dot]rsatechnologies[dot] in and highlight this link using HTML. If some webmaster still think if is self promotional that you can send an email about the link and ask what went wrong. And the final tricks in this case is like guest author promote their Guest post on the famous blogs, You can also promote your comment on Facebook and Twitter. Bloggers will not mind it, since you are also promoting their own blogs this way and they will also love to see you. 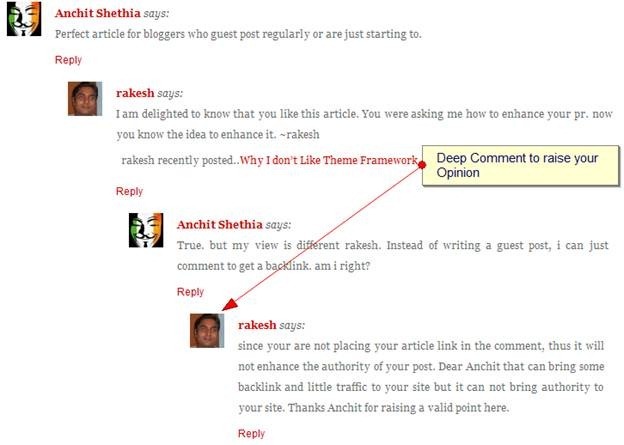 Commenting is now a days a part of bloggers to promote their contents and extend their presence on the social media, a well crafted comment bring targeted traffic but it needs time, do not try any automated commenting robot to ruin your reputation. What is your commenting tip to enhance your presence. Do not hesitate to share with us. Really a different and rather an intelligent perception and of course , a ‘not yet tried’ one. Highly helpful for emerging Bloggers. The Article though lengthy, worth reading and thank you very much for sharing . Great post. I certainly have appreciated the blogging community, and of course like the fact that it does seem to be a closenit group. It’s been fun to connect with all sorts of people over the world, (in my world that’s photographers), but it’s impressive what the internet can bring together. Not too many people leaving comments on my blog but I’m not worry about that. Small traffic I have converts pretty well. Excellent tips though! thanks for the share! Hi Rakesh. you spend long time to wright this great post. I also use this method that you describe here. I comment on commenting Luv enable blog and then I go one blog to another blog. and save those website that approve easily my comment and then participate. I also save your blog in my list. 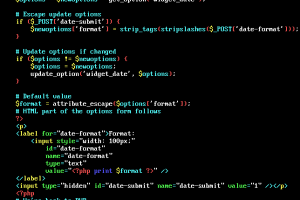 A very detailed post on the ethics and effectiveness of blog commenting. A good/excellent link is not an easy earned link, we all should understand this phenomenon. Am I right? Yes a Good Link is always earned that bring targetted traffic. A good comment is always noticed by the webmaster and its loyal readers. Always try to add some value to that article and i am sure with each thoughtful article your friend list/traffic will grow. Dear Rakesh a very great post and very effective and useful tips. I am a regular reader of your blog but this is my first ever comment, I think. I like your writing style and the way you present the post. All I get are spam comments. My website is 20 days old and akismet has already blocked 95 spam comments. Can I take this as a good sign? I don’t know why but I kinda feel that it indicates more visitors to my site. Would love your opinion on this. Awesome bro, Keep it up. Do you really think that as a blogger it is really important to find blogs only related to your niche? I guess blog is a way to help others, and you can comment on any blog that you think it will be good to share your views on, how ever Gravatar and real name is an important thing. Too Much appreciation does not seems to spam. Still i love this ravin. Thanks for your kind words and support. Thanks Mohammad Ismail for your kind words, Just trying to live the expectations of my readers and tyring to give back the community. Thanks you very muh for your valuable feedback. Again a good post and yes blog commenting is no doubt important because it will not only generate traffic to your blog but it will also help you to improve your relations with the other bloggers. Great ravi, i am really happy to know that the purpose of this article had been accomplish. Thanks bro for posting your valuable feedback. See you soon. Blog is not just about sharing opinions, it is more about getting end up in having collective intelligence. Bloggers as a unit can do wonders than too many individual bloggers. Hi Rakesh. Comment should be post in natural manners. People should follow the comment policy properly so that Admin of that post interested to publish your comment. Nice and tricky post. Thanks for sharing it. I am happy to know that you know the trick to build healthy backlinks through your comments. 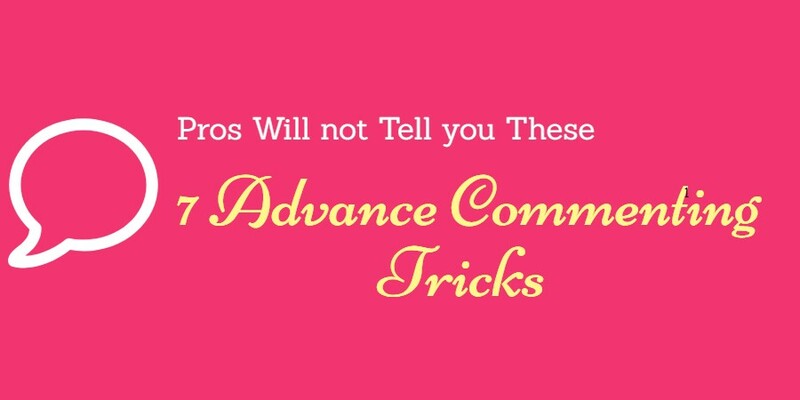 Thanks Kathy for your valuable feedback on this article on commenting tricks. Hope to see you soon. Brilliant tips. I really liked the whole article. 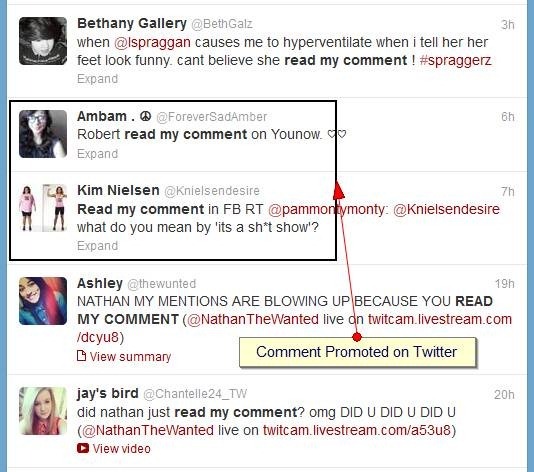 Promoting comment is an awesome idea indeed and very interesting thing regarding this idea is that bloggers will not mind our promotion of comments. The whole system shows that world can not run without the participation of each and every person. 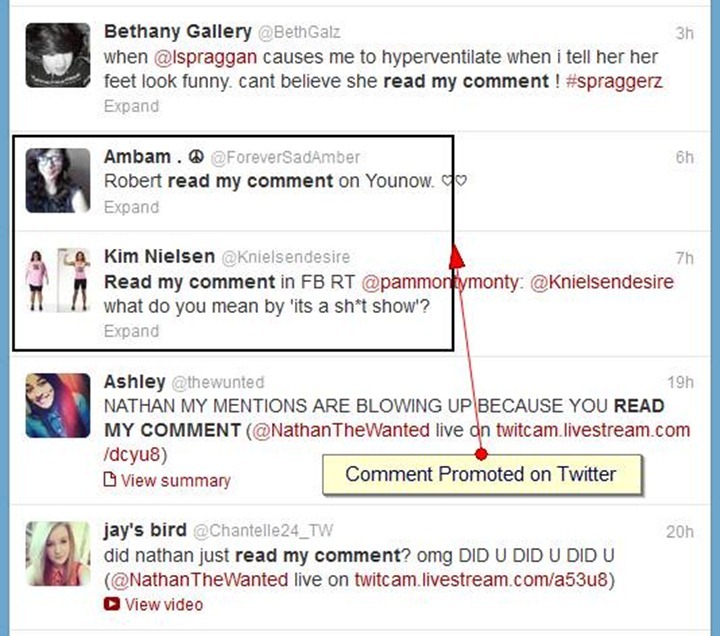 Comment promotion and valid commenting are always used to establish rapport with the bloggers. Promotion is just one step ahead of that and i think it will enhance our relations. Thanks matt for your valuable feedback on this article, Hope to see you very soon. It took me long time to read your article, but every bit of you told is absolutely necessary. 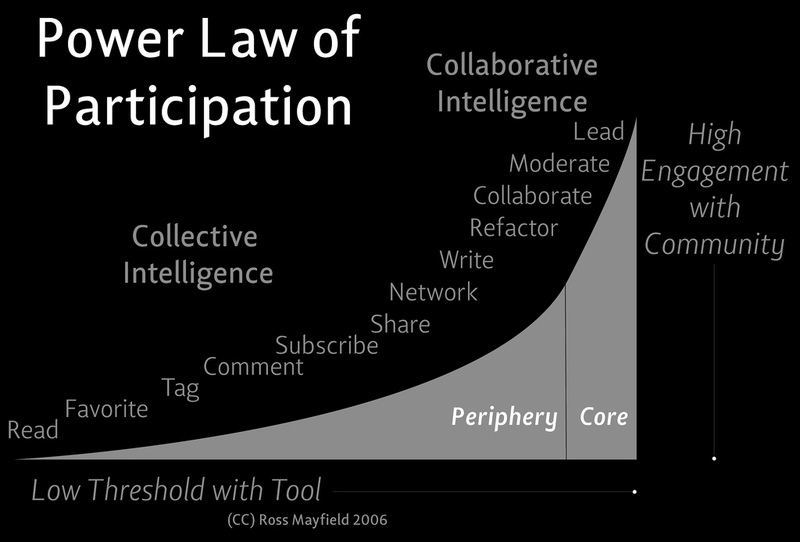 Personally I totally agree with the image in your blog “Power Law of Participation”. Blog is not just about sharing opinions, it is more about getting end up in having collective intelligence. I am really happy to know that mahesh. Comment is not placed all the time to get a link. it was basically developed to establish a rapport between two people. Thus it should be honored and when we honor it, it automatically honor us.